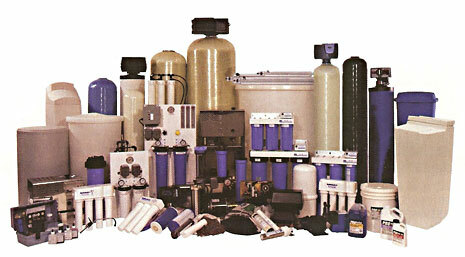 A Clear Alternative provide Water Softener Systems for the home. Hard water can be hard on both you and your home. Hard water is a nuisance due to the mineral build up of Calcium Magnesium and the Water Corrosion Mineral Scale. Hard water causes calcium and magnesium build up that builds up on your fixures and contributes to poor soap, shampoo and detergent performance. Ohter problems created by hard water other than the hard water mineral build up reducing water flow, is the film and scale that also builds up on your kitchen and bathroom fixtures. These minerals can leave behind an invisiible soapy film on your skin which can make your skin very dry and flaky. Shampoo residue left on your hair, making it feel dull and lifeless - and possibly even dirty looking even hours after a shampoo. Other factors which can effectively burn money through the years is the short lifespan expectations on your water heaters, the deposits of minerals and scale take it's toll! You can expect increased utility bills from the scale deposits, scale is not a good conductor of heat so therefore the water heater needs to run more to produce. Hard water can affect the flavors of your popular morning beverages. Your glasses and dishes have a film or spots after being cleaned (and you thought it was your detergent), clothes do not clean as well and the hard water shortens the lifespan of your clothing too! A Clear Alternaive's water softening treatment system will take care of your hard water problems! Contact us today for a free water test and a free quote for water softening!